A pair of nasty CPU flaws exposed this week have serious ramifications for home computer users. Meltdown and Spectre let attackers access protected information in your PCâs kernel memory, potentially revealing sensitive details like passwords, cryptographic keys, personal photos and email, or anything else youâve used on your computer. Itâs a serious flaw. Fortunately, CPU and operating system vendors pushed out patches fast, and you can protect your PC from Meltdown and Spectre to some degree. Itâs not a quick one-and-done deal, though. Theyâre two very different CPU flaws that touch every part of your operating system, from hardware to software to the operating system itself. Check out PCWorldâs Meltdown and Spectre FAQ for everything you need to know about the vulnerabilities themselves. Weâve cut through the technical jargon to explain what you need to know in clear, easy-to-read language. Weâve also created an overview of how the Spectre CPU bug affects phones and tablets. The guide youâre reading now focuses solely on protecting your computer against the Meltdown and Spectre CPU flaws. Hereâs a quick step-by-step checklist, followed by the full process. First, and most important: Update your operating system right now. 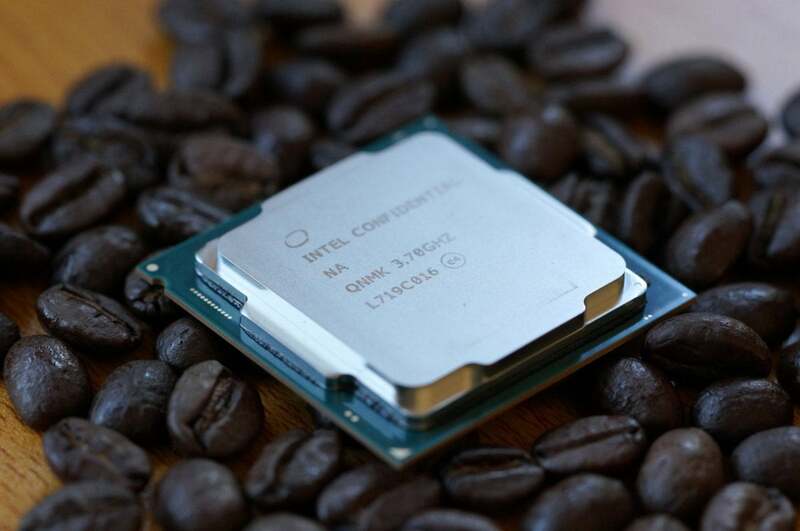 The more severe flaw, Meltdown, affects âeffectively every [Intel] processor since 1995,â a ccording to the Google security researchers that discovered it. Itâs an issue with the hardware itself, but the major operating system makers have rolled out updates that protect against the Meltdown CPU flaw. Microsoft pushed out an emergency Windows patch late in the day on January 3. 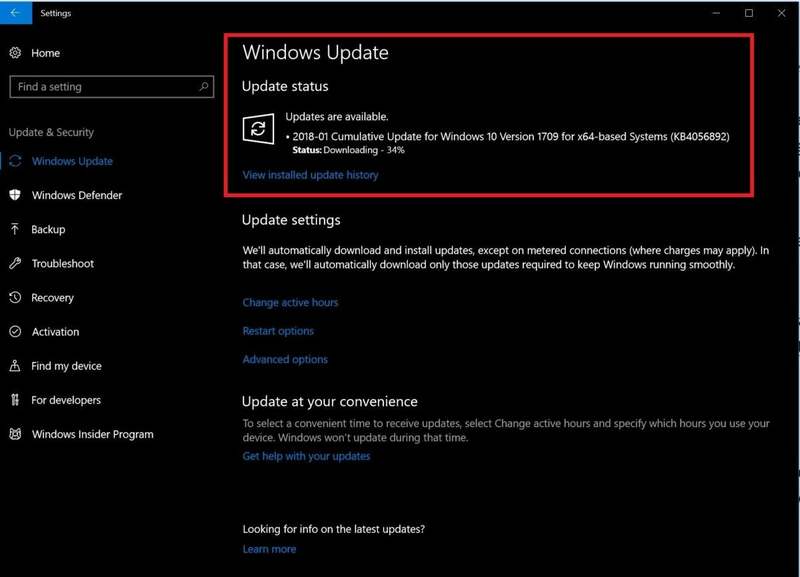 If it didnât automatically update your PC, head to Start > Settings > Update & Security > Windows Update, then click the Check now button under âUpdate status.â (Alternatively, you can just search for âWindows Update,â which also works for Windows 7 and 8.) Your system should detect the available update and begin downloading it. Install the update immediately. If you donât see it for whatever reason, you can download the Windows 10 KB 4056892 patch directly here. Youâll need to know whether to grab the 32-bit (x86) or 64-bit (x64) version of the update. To determine if your PC runs a 32- or 64-bit version of Windows, simply type âsystemâ (without the quotation marks) into Windows search and click the top listing. Itâll open a Control Panel window. The âSystem typeâ listing will tell you which version of Windows youâre running. Most PCs released in the past decade will be using the 64-bit operating system. The System information youâre looking for. Apple quietly worked Meltdown protections into macOS High Sierra 13.10.2, which released in December. If your Mac doesnât automatically apply updates, force it by going into the App Storeâs Update tab. Chromebooks should have already updated to Chrome OS 63 in December. It contains mitigations against the CPU flaws. Linux developers are working on kernel patches. Patches are also available for the Linux kernel. Now for the bad news. The operating system patches will slow down your PC, though the extent varies wildly depending on your CPU and the workloads youâre running. Intel expects the impact to be fairly small for most consumer applications like games or web browsing. Our FAQ digs into potential PC performance slowdowns from the patches. You still want to install the updates for security reasons. Intelâs Core i7-8700K CPU is vulnerable to Meltdown and Spectre. Because Meltdownâs CPU exploits exist on a hardware level, Intel is also releasing firmware updates for its processors. âBy the end of next week, I ntel expects to have issued updates for more than 90 percent of processor products introduced within the past five years,â it said in a statement on January 4. The company also released a detection tool that can help you determine whether you need a firmware update. Actually getting those firmware updates is tricky, because firmware updates arenât issued directly from Intel. Instead, you need to snag them from the company that made your laptop, PC, or motherboardâ"think HP, Dell, Gigabyte, et cetera. Intelâs support page dedicated to the vulnerability includes links to support pages for all of its partners, where you can find any available firmware updates and information for your particular PC. Most prebuilt computers and laptops have a sticker with model details somewhere on their exterior. Microsoft updated Edge and Internet Explorer alongside Windows 10. Firefox 57 also wraps in some Spectre safeguards. Chrome 63 made âSite Isolationâ an optional experimental feature. You can activate it right now by entering chrome://flags/#enable-site-per-process into your URL bar, then clicking Enable next to âStrict site isolation.â Chrome 64 will have more protections in place when it launches on January 23. Finally, this ordeal underlines how important it is to keep your PC protected. The Google researchers who discovered the CPU flaws say that traditional antivirus wouldnât be able to detect a Meltdown or Spectre attack. But attackers need to be able to inject and run malicious code on your PC to take advantage of the exploits. 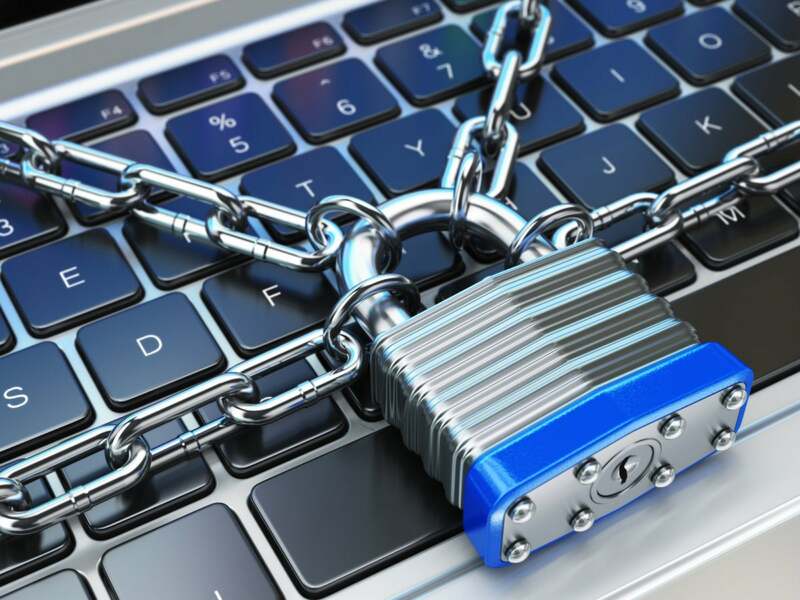 Keeping security software installed and vigilant helps keep hackers and malware off your computer. Plus, âyour antivirus may detect malware which uses the attacks by comparing binaries after they become known,â Google says. PCWorldâs guide to the best antivirus for Windows PCs can help you find the best option for your setup.